TYMBA held two competitions in July; the first was at Himley Hall in Dudley as part of the Armed Forces Day on 1st July. This was a fantastic setting for a Marching Band Competition, and with the scorching hot weather and big crowds watching, the band were nervous about going out to their first contest of the year. But they had a brilliant performance, and after a short wait for the judges to add up their scores, the results were announced. They were awarded 1st place in their class, and took home every category’s trophy available to them. But the band didn’t get complacent with this win as they knew they’d have to work hard for their second contest that was scheduled for only a week later. But before the second contest, the band took part in Syston Brass Fest on 7th July at The Dog & Gun. The band opened the event playing two sets, the first being their competition music ready for the following days contest, and the second being their parade music. It was a great event to be part of and have shown support in taking part in future years plans for the event. So just a day later the Band travelled to their second competition of the year hoping to carry on where they left off the week earlier. This contest was held in Corby at the Corby Town Football Stadium on 8th July, which again was a great venue. The weather for the day was another scorcher, so plenty of liquid was taken onboard. The band again delivered a fantastic routine, and left their fate in the judges’ hands. The results were announced and again the band came 1st in their class and won every trophy available. 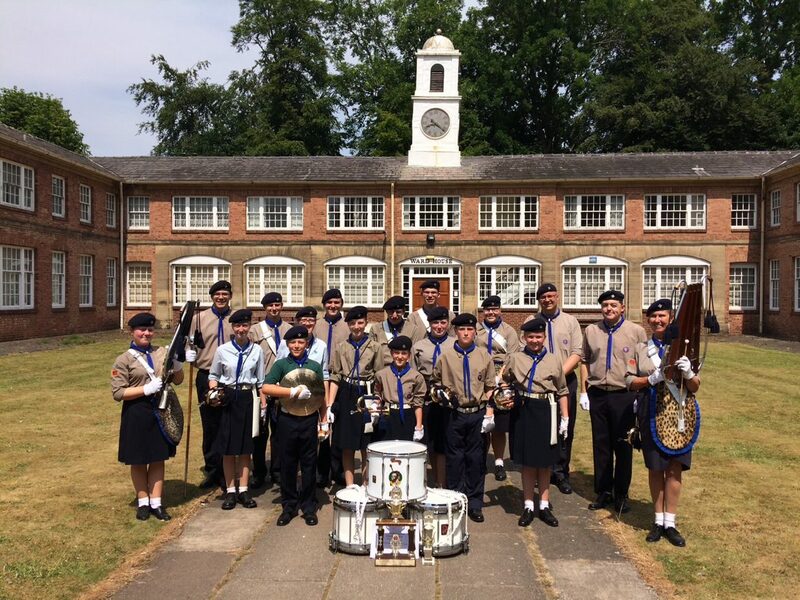 After a few quieter weeks with the school holidays in full effect, the band took part in the Mountsorrel Revival on 12th August as part of the parade, and followed this up with two performances around the event. Next for the band is their last two competitions of the year where they hope to make it four wins out of four. However they know that a lot of hard work will still be needed to achieve this. For anyone interested, 1st Syston Scout & Guide Band will be hosting an open evening on 14th November at Syston Scout Hall, where everyone is welcome to come along and see what the band do, and also give anyone thinking about joining a taster. More details will be published soon.